Looking for a spa tub can be complicated. Manufacturers usually provide information that is one-sided boosting their products and leaving the downside of their products in the dark. Websites are often not keen in helping you come across a spa that you desire. They usually advertise products and describe products according to categories or assortments. Choosing a hot tub involves considering several factors. You might consider your living conditions, your purpose, and your budget. If you are renting, residing in a compact living space, or complying with firm rules on HOA, having a 110 Volt or 115 Volt for your hot spa tub might be your sole solution. 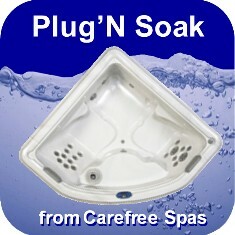 The spas plug does not need to be installed by an electrician and has no need for more electrical equipment. It only needs to be connected to your household power outlet. You would even save from this practice plus you get to make use of your resourcefulness. You would also like to consider where you like an indoor hot tub or an outdoor hot tub, how much space would you want your tub to have so you can extend your body, the quality of your tub which includes its features and costs. What else do you need to know about distinct spa tubs? You might also want to read other hot tub reviews to help you decide what suits you best. Moreover, there are benefits and disadvantages listed below that could assist you with your perfect choice. No Need to Call an Electrician- You can plug it directly to the outlet, thereby saving $300 to $1,200 that would be spent for installation such as service charge and other equipment for hot tub parts used in the process. Home Conditions- If you do not own your home, have restricted living space, or perhaps have constraints on HOA, a space for your tub near your home’s electric connection is just the perfect solution. Having a tub with 110V-115V is an instant fix to your weary aching muscles after a long day at work. Ideal For Temperate Climates- Should the temperature during winter not reach 20-degrees, the 110V hot tub will be enough to maintain warmth but for a very cold month, the tub will not be enough to keep you warm. Ideal for Short Soaks- If you are the type who generally wants to spend about 20 minutes to half an hour in a hot tub, you are more likely to be contented with your routine because a 110-115V tub will be able to maintain the temperature that suits you to your enjoyment. The tubs with these volts shut off water heater when jets are used. Depending upon the room temperature the water keeps its warmth for approximately an hour or two. Plug And Play- There is absolutely no power installment. You might not want to avail contractor services unless you need proper and solid foundation. Just fill the spa with a hose connected to your water system. Plug the spa’s wire directly to a standard 110V-115V outlet. You can even have the hot tub indoors which is in effect a practical alternative. Cozy Hot Tubs- A hot tub is generally small and occupies one user or two perhaps a couple who wants to relax to hydrotherapy. A small spa might be just the solution if you happen to live in a townhome, condo, or a room with limited living space. Gradual Heating- Heating generally takes two times than usual for a 110V-115V than a 220V. It is due to its small heater. Not Ideal under Cold Conditions- The spas are best for temperate temperatures. The spas do not heat fast. They shut off when the jets function to massage parts of your body. With Jets in Place, Heaters off- The spa is built to lessen energy, so most spa models are made to turn off its heater when jets function. With this specification, it is suitable in temperate environments where you can enjoy a hot soak. When temperature is 20 degrees or below, the water gets to cool fast. Consumes More Energy- Though this seems to be a debatable topic, most 110V-115V spas consume energy more than 220V types. A 110V-115V heater consumes energy twice as a 220V under a similar temperature. The heater in a 220V works rapidly allowing the tub in “stasis” state for a longer time. On the other hand, the 110V-115V takes up the same amount of energy in an extended period of time compared to a 220V heater which consumes more energy in a shorter period. This still means that they consume the same portion of electricity but in terms of energy efficiency, the 110V-115V is less efficient than a 220V. To be able to find remedy to this problem, add “Energy Savings” alternatives on top of the spa, which includes an upgrade of the cover, a padding quilt, as well as complete insulation on foam. Jets Are Not So Efficient- Most 110V-115V spas are not as efficient as 220V spas although there may be some exception. There is no adequate energy supplied to manage a number of pumps thus, most spas avail of only one small pump. If your purpose is hydrotherapy healing, massaging will still serve its purpose but just not that good because of fewer jets. Hydrotherapy does better when there are different types of jets serving its purpose. If you are looking to buy tubs, you may need to consider what matters to you most. You might want to buy cheap hot tubs, a 2-person hot tub occupancy or 3-person hot tub occupancy, or an indoor hot tub or outdoor hot tub or tubs with less energy consumption. Choose for the model that serves your purpose along with its hot tub prices. 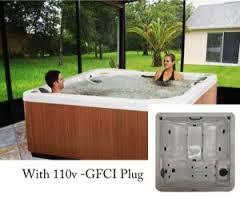 This entry was posted in hot tub reviews, spa and tagged hot tub reviews, spa. Bookmark the permalink.